Alzheimer's caregivers can have a profound influence on the emotional state of individuals with living with dementia. In short, while patients living with Alzheimer's disease might not remember recent events, they can still remember how events in their lives made them feel. I hope you will take the time to read and absorb the information in the research summary presented below. This is both good and important new for caregivers and those in the healthcare industry that work with patients living with dementia. 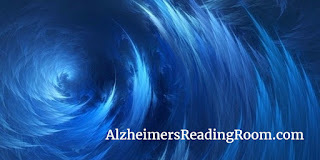 It is my belief that each and every action we perform as caregivers has a cumulative effect on the behavior and mental well being of our loved one's living with dementia. We can change the way an Alzheimer's patients behaves, how they interact with us, and we can change their overall demeanor. This is accomplished in part by engaging in activities that bring positive emotional experiences into the lives of those who are deeply forgetful. Even something as simple as a toy repeat parrot brought happiness into the life of my mother, Dotty, who lived with Alzheimer's disease. He made her laugh and smile, and he intereacted with her in what was a real and meaningful way. This translated into positive emotion and a better life experience for both of us. caregivers can have a profound influence—good or bad—on the emotional state of individuals with Alzheimer’s disease. Patients may not remember a recent visit by a loved one or having been neglected by staff at a nursing home, but those actions can have a lasting impact on how they feel. “This confirms that the emotional life of an Alzheimer’s patient is alive and well,” says lead author Edmarie Guzmán-Vélez. Despite the considerable amount of research aimed at finding new treatments for Alzheimer’s, no drug has succeeded at either preventing or substantially influencing the disease’s progression. Against this foreboding backdrop, the results of this study highlight the need to develop new caregiving techniques aimed at improving the well-being and minimizing the suffering for the millions of individuals afflicted with Alzheimer’s. For this behavioral study, Guzmán-Vélez and her colleagues invited 17 patients with Alzheimer’s disease and 17 healthy comparison participants to view 20 minutes of sad and then happy movies. These movie clips triggered the expected emotion: sorrow and tears during the sad films and laughter during the happy ones. About five minutes after watching the movies, the researchers gave participants a memory test to see if they could recall what they had just seen. As expected, the patients with Alzheimer’s disease retained significantly less information about both the sad and happy films than the healthy people. In fact, four patients were unable to recall any factual information about the films, and one patient didn't even remember watching any movies. Quite strikingly, the less the patients remembered about the films, the longer their sadness lasted. While sadness tended to last a little longer than happiness, both emotions far outlasted the memory of the films. “Our findings should empower caregivers by showing them that their actions toward patients really do matter,” says Guzmán-Vélez, who was a Summer Research Opportunities Program student in 2008.